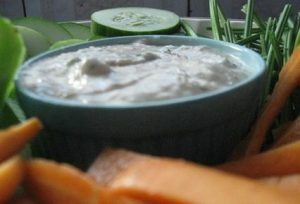 This is a traditional Middle Eastern Hummus dip; it is a blend of garbanzo beans, garlic, olive oil, and tahini. A great dip for a party or picnic. 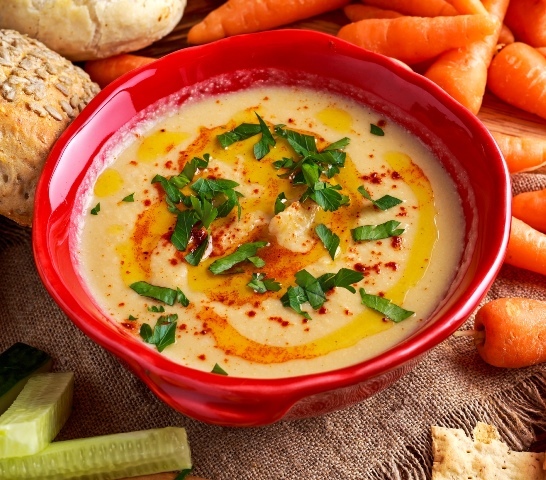 Who doesn’t enjoy delicious hummus? 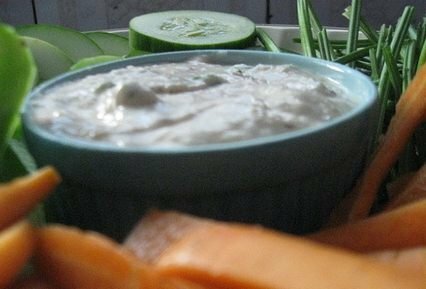 The other great thing about this dip is that it is dairy free and gluten free too. Drain the chickpeas, save some of the water to use later. Keep a few chickpeas for a garnish. Put all ingredients in a blender or better is a food processor. You can add some of the saved water if it needs it for blending. Blend until it is very smooth which will be 1 to 3 minutes. You may need to scrape the inside of the blender to blend large chunks. Taste to see if this is the hummus you enjoy. You can add more lemon juice or olive oil to make the hummus creamier. Put into a bowl, drizzle a little olive oil, sprinkle with paprika and cilantro leaves. Or garnish with few chick peas or olives. Serve with pita chips or raw vegetables. It will keep for up to a week in a sealed container in the refrigerator. Add more cumin for more flavour. For a lemony hummus, add more lemon juice. Make an olive hummus, mix in 1/2 cup of chopped green or black olives. Create a nutty hummus by blending in some walnuts or pine nuts. If time and patience allow, pinch the skins from each of the chickpeas; this will make your hummus smoother. I never do it as it does not make it taste any different and for me it is all about taste.